Spring Flatlay was designed to honor the hashtag #natureflatlay that Jessica @VanillaLemonCake features in her IG feed and stories. 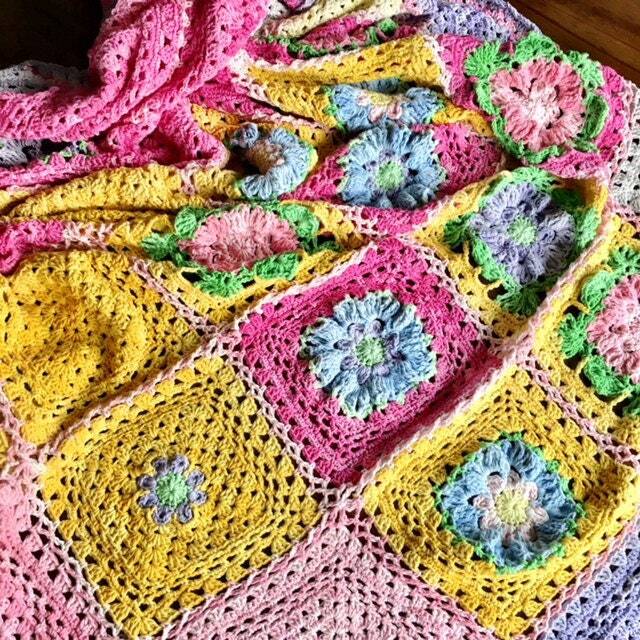 Her flatlay style photos translate to floral granny squares placed thoughtfully in the layout of this decidedly Springy piece. Also, pink and yellow. Yes. ShadeTree is an ebook (possibly print in the future!) 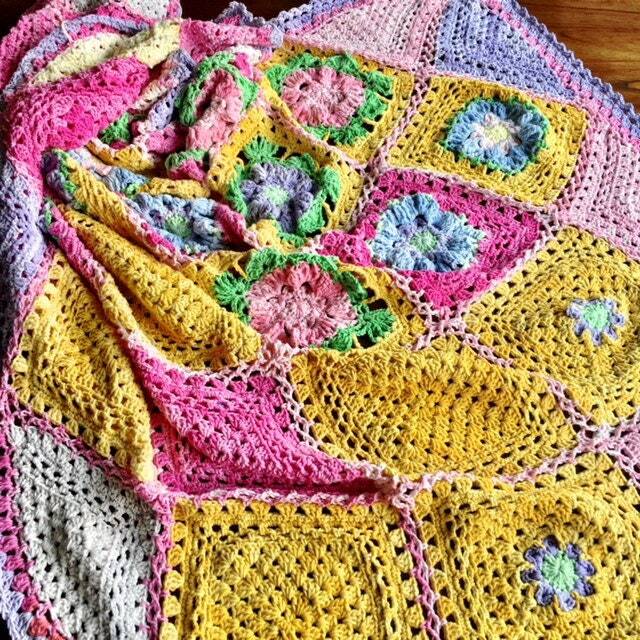 of 5 full blanket patterns and 4 free motif patterns which all share a common trait. 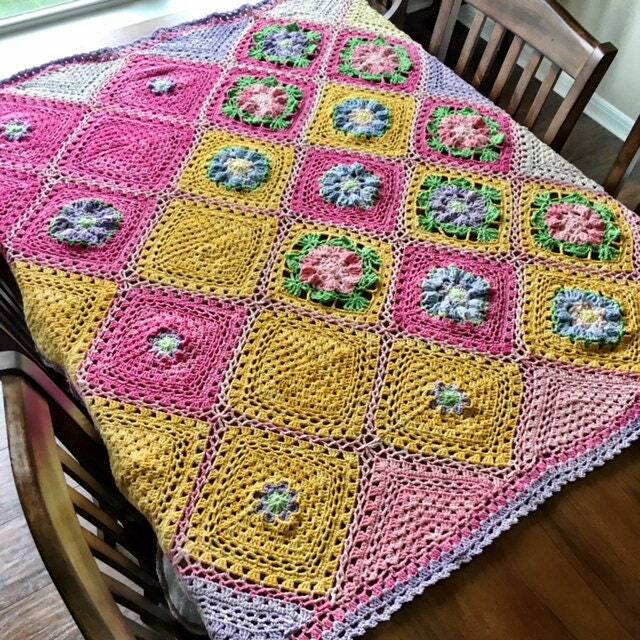 In this issue, that common trait is the inspiration artist, Jessica Wilkinson of VanillaLemonCake. I call ShadeTree an artistic collaboration because there is an inspiration artist or maybe a certain stitch or a visual element, and that is one piece of the collab. Then, I am part of the collab as the pattern designer. I choose the project yarn from my favorite Scheepjes selection, so I feel like the yarns are kind of collaborating, too. And a crucial collab member is the crafter who tests the blanket pattern. 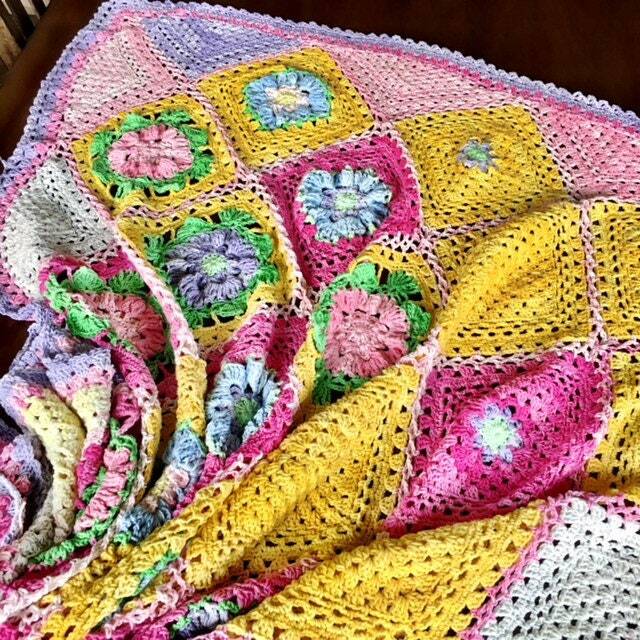 a talented member of the Tester Tribe makes the sample blanket and graciously photographs the piece. The collaboration means a lot to me as I see the artist community as a never-ending source of inspiration, and when we collaborate and bring our talents together, we grow even more in our craft. ShadeTree is the fruit of these cultivated relationships. Meet us under the ShadeTree.